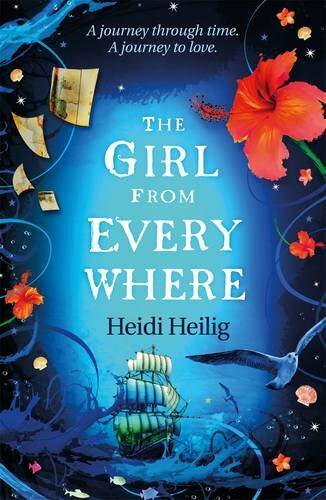 In reading Heidi Heilig’s luminescent The Girl From Everywhere, I encountered an elegantly written scene that shows (rather than tells) you everything you need to know about how to portray emotion through what is left unsaid. In the 2016 edition from Hot Key Books, it occurs 63 pages in. Kashmir, our narrator Nix’s closest friend and crewmate, has just given her a stolen necklace. It’s one of many “trinkets” (his words) he has stolen for her in the time they’ve known each other.